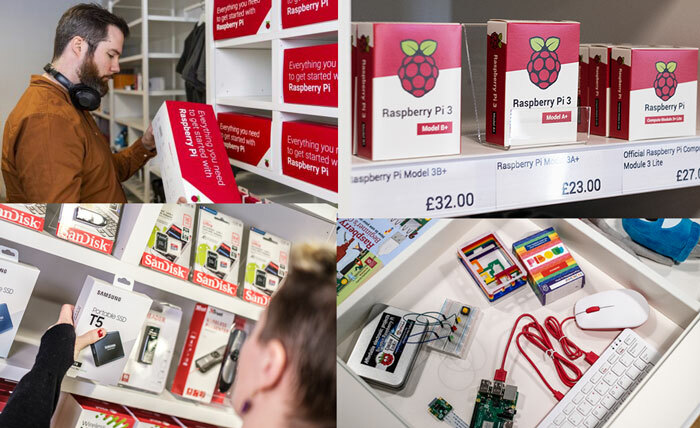 On Thursday the world's first bricks and mortar Raspberry Pi Store opened its doors. In challenging UK high street retail conditions, which seemingly only encourages the growth of charity shops and Greggs, the makers of the popular tiny UK computer have bravely ventured into an "experimental space" in Cambridge's Grand Arcade shopping centre. Coinciding with the physical store launch, the firm has launched a new starter kit of parts, which includes a mouse, keyboard and necessary cables to get users up and running. Founder Eben Upton said that the kit contained everything needed "apart from the television". Talking to the BBC, Upton shared his thoughts about the appeal of the physical store. "There's always a risk you can get complacent about your customers, but a physical store means we have a place for people, who are curious about Raspberry Pi, to experience it," he explained. Furthermore, the store could become a hub for the 'highly engaged' community. Cambridge was the natural location for this retail experiment as it is the city in which the diminutive bare board computer, and the ARM chip powering it, was invented. It is likely the store will appeal to the large number of academics and students in the city as well as the numerous tourists that pass through. The diverse range of customers that are expected to check out the store is reflected in its stock, with some items you might not expect. 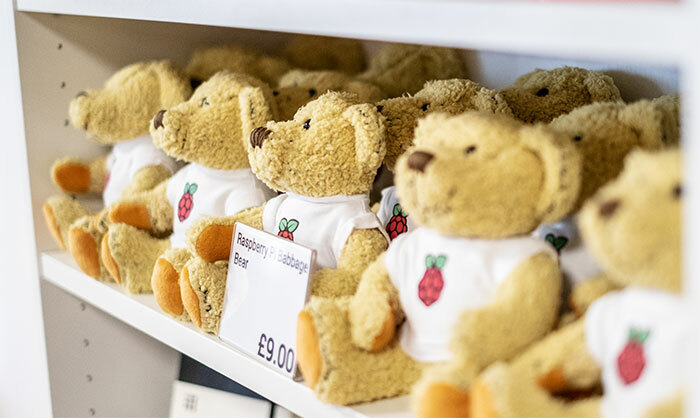 As well as useful Raspberry Pi related tech, such as the various RasPi board models, memory cards, USB storage, USB peripherals, power supplies, chargers, cases, interfaces and cables - there are souvenir mugs, travel coffee cups, and even teddy 'Babbage Bears'. 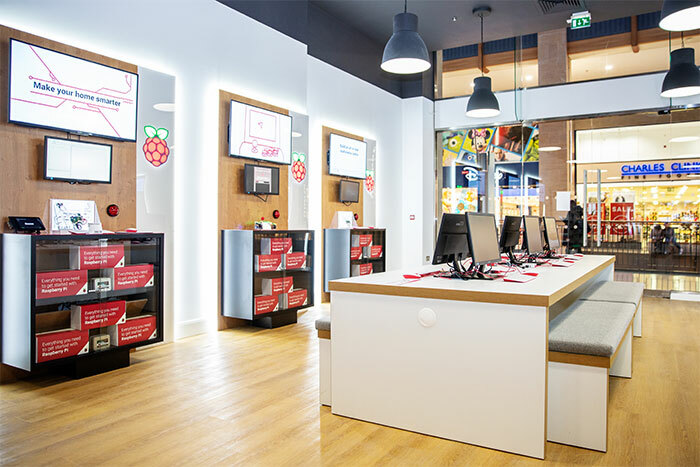 If you wish to visit the Raspberry Pi Store, then head on over to the First Floor of the Grand Arcade, Cambridge. Opening hours are Monday 09:00 – 18:00, Tuesday 09:00 –18:00, Wednesday 09:00 – 20:00, Thursday 09:00 – 18:00, Friday 09:00 – 18:00, Saturday 09:00 – 19:00, and Sunday 11:00 – 17:00. It is a cashless store, so please take along your credit or debit card. The GTX 1070 and AMD Radeon RX 580 have done pretty well in the last month too. And the Cupertino tech giant unveils its own credit card and News+ subscriptions too. They had me right up to the last line of the article …. It is a cashless store, so please take along your credit or debit card. Oh well. Won't bother then. In today's spirit of someone being offended and OUTRAGED!! I'm going to make a complaint against them for being clearly cash(ist). Discrimination against my bank notes will not stand! “It is a cashless store, so please take along your credit or debit card.” how is this a thing? I mean, isn't it unlawful to not accept cash at a physical store? No. Its illegal not to accept legal tender for a debt. As this is an instantaneous purchase there is no debt. Separately those selling goods have the right to refuse a transaction for any (or no,) reason. In this case because you want to pay cash. So essentially they're taking advantage of those two points. Why would you not want reward points? The hard part for me is encountering cash-only….